H-P says a new chip architecture will allow this technology to leapfrog three generations ahead of the industry?s current path. The company?s new chip will be used in communications and consumer electronics products, and could be commercially viable by 2010. The intellectual property termed ?field programmable nanowire interconnect? is likely to be bartered to other chipmakers, perhaps in exchange for the right to use other patents, according to Richard Doherty the research director at industry research firm The Envisioneering Group. Mortgage lender Network USA has stopped funding loans and is exploring ?strategic alternatives? for its wholesale business lines. It?s the latest sign of retrenchment as stress among subprime lenders increases. In California, as the sudden rise in bad loans continues, banks are contacting delinquent borrowers within days after a missed payment. Short sales?where a lender allows property to be sold for less than the amount due and often forgives the remaining debt?are increasing as well. Hotel construction was up 47% in 2006, and the pipeline of planned projects is nearing a record as occupancies rise and room rates have increased sharply, giving the industry its best three years in a quarter century. The hotel business is outpacing all other construction sectors and will add 116,000 new rooms in 1,087 hotels in the U.S. this year, according to Lodging Econometrics, a Portsmouth (NH)-based research firm. XO Limited has recently launched its new ?pay anyone? feature, where members of any barter exchange can send barter dollars to anyone who has a mobile phone or e-mail...even non-barter exchange members. The feature is designed to make barter more ?liquid? and more accessible to the wider community. The non-member recipient clicks a link, fills out a few details, and immediately becomes an enrolled member of your exchange. The payment will be instantly received and can be used with any other barter exchange member or to pay anyone else online. payment recipients and set credit limits as required. For more information on XO Limited go to: www.barter-software.com. indsey noted fixed wireless has taken the forefront, with satellite service being a good alternative in some areas. There are about two thousand fixed-wireless providers in the U.S., most of them mom-and-pop operations with a few hundred users. According to the Economist Intelligence Unit, top executives are very positive about business...looking forward the next three years. What?s creating such optimism? Emerging markets, especially China and India. The survey polls more than 1,000 executives annually and is sponsored by UK Trade and Investment, a government body that promotes British exports UK investment. Of the executives polled, growth in sales was considered the greatest priority in 2007...more than controlling costs. Concerns centered around political uncertainties in the Middle East, and a slowdown in the U.S. housing market. Direct-Sales (Multilevel Marketing) Dropping In U.S.
About 85% of direct-sales marketing happens outside the U.S. today, compared with 20% two decades ago, according to the Direct Selling Association, a Washington-based trade group. There were an estimated 59 million people worldwide who participated in direct-sales in 2005. Much of the growth is occurring in Third World countries including Mexico and Brazil, which typically have higher rates of unemployment and underemployment than the United States. In those countries, direct-sales marketing offers entrepreneurial opportunities with little start-up costs. And because direct-sales operations do not need stores or sales staff, it is also relatively easy for direct-sales and multilevel marketing companies to expand quickly. Trade exchange barter has been great for our business. We make every attempt to use barter for all of our business related needs, such as computers, printing, advertising, legal advice and client gifts. While this is good for cash flow it also has very important tax saving ramifications, which will be the focus of this article. We are a CPA firm in Fresno (CA) specializing in resolving tax problems. We prepare past-due returns, represent clients in tax audits and appeals, arrange installment agreements and analyze whether taxes could be discharged through bankruptcy. Because we are very familiar with how our client?s got into trouble with their taxes, we hope to be writing regular articles for BarterNews advising you how to take proactive steps with your taxes and stay out of tax trouble?with your silent partner, the IRS! Since your barter credits are part of your businesses taxable gross income, it is imperative that you make every attempt to spend your barter income for business purposes in the year you have earned them. This will allow you to offset barter business income with barter business expenses, and as a result you avoid paying taxes on your trade credit ?buildup? at the end of each years. Unfortunately too many eager barterers become former barterers when they get their income tax bill. This is because they do not think of trade credits as part of their total business working capital. They think of it either as ?fun? money and spend it only for personal items, or ?funny? money which they spend wastefully. When the tax bill comes they have used up their cash for business expenses which they could have paid for with their barter credits, and consequently they don?t have enough cash to pay the taxes on their barter income. Often former barterers are too busy with their daily operations to find out how to use their barter credits for business purposes. They think they?ll get around to exploring spending areas for their new-found barter dollars someday. . . But they never get around to it. Consequently their taxes kill them because of it, and then they quit trade. They then tell everybody they know, ?I tried trade, but trade just doesn?t work!? To make your whole working capital cycle, which includes cash, barter, receivables, payables, and taxes, operate effectively, you need to be creative and disciplined. You need to be willing to stop paying cash to people just because you have done business with them over a long period of time. Either get them on trade or find someone who will trade with you! Remember, when you pay cash, that is a one-sided transaction. There is one buyer, and one seller. When someone likes you only for your cash, you really don?t have a solid relationship, built on trust, and what is good for both parties. But when you trade, there are two buyers and two sellers. You have formed a strategic alliance with someone who cares more about you than just your cash. To lower your taxes you must be a good planner, so try to use only trade partners (whenever possible), be imaginative, and remain focused on your cash, trade and tax objectives. Remember that anybody can pay cash or use a credit card, but you?ll end up paying more taxes if you do. To stay out of trouble with the IRS, treat trade dollars the same as cash in recording income and expenses. Therefore if you have a lot of trade dollars at the end of the year, you obviously will have more taxes to pay on that build-up. If you use your trade credits wisely for business purposes, it will lower you tax liabilities, improve your cash flow, increase your productivity and net worth. Another way to use trade credits for a business expense, while boosting morale and increasing your productivity, is paying your employees in lieu of a cash wage increase with trade credits. It just makes good business sense. 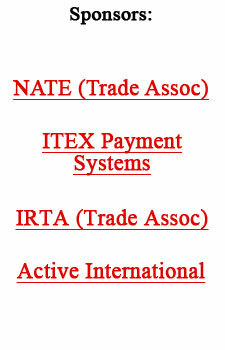 If part of your revenue is trade credits then part of your payroll should be paid in trade as well. Naturally wages paid in trade credits are treated like cash wages for payroll tax purposes. You will find that by introducing your employees to the many benefits of trade, not only will you enjoy the rewards of using trade, and preserving cash, you will have also introduced your employees to trade and what it an do for them. It makes them part of the fun and profit cycle of trade. They begin to take a personal interest in the whole process. You will soon find that they are pointing out trade opportunities to you, that you have formerly missed. To reiterate, from a tax point of view, it just does not make good sense to hoard trade credits. You do not want a large trade savings account. Since barter credits are treated as additions to your taxable income, you must use them for business expenses to reduce your taxable income whenever possible. It is that simple. If you are currently being audited by the IRS or Franchise Tax Board, if you owe money that you cannot currently pay to the government, or if you?ve ever considered bankruptcy to discharge your old taxes, and would like a personal consultation with me either by phone or in person, please don?t hesitate to call my office to set up an appointment. We gladly accept many trade currencies for our services.